Who has a Disney princess in their house this week for Book Week? Not me. My Disney princess disappeared many years ago. Darby came to me during the week hoping to dress like Batman but we just don't have any dress-ups like that in the house anymore. His previous super hero gear was for kids half his age. So rather than going out and buying something to go with his favourite book, we decided to create a book idea around what was already in the house. Not the most nurturing or creative parenting I know, but definitely the most cost effective. So we decided on his Karate gear and I went off in search for a book about Karate. Darby is officially going to Book Week dressed as the Karate Kid super hero from DC Comics. Never heard of him. 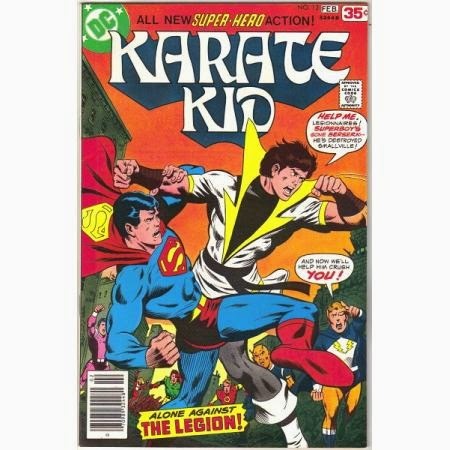 Of course we've all heard of the Karate Kid the movie ... but we had not heard of the comic book character. Anyway, it'll be fine. I've printed off a picture of the comic which is being laminated for him to take to school to prove there is a Karate character worthy of Book Week celebration. Has anyone else had to do things arse about face this week? Choose the costume first and then find the book to match it? Things were actually easier when the kids were younger. We had a hamper full of Disney princesses and super heroes. Not anymore. Speaking of Disney princesses ... you're probably wondering why I bothered to mention them at all. It's another Deep Fried segue into an awesome give-away. Disney have recently released Sleeping Beauty from the vault. You can now buy this classic on DVD and blu-ray. Of course the release has brought with it some extra magic with exciting bonus features, including the chance to explore the evil Maleficent's dungeon which is exclusive to the Sleeping Beauty blue-ray edition. Bonus! We've got THREE copies of Disney's Sleeping Beauty to give away. For your chance to win a copy all you've got to do is tell me, if you were a Disney princess, which princess would you be? Or you would you prefer to be a super hero? The competition is open to Aussie residents only and will close on Wednesday 27 August at midnight. You can enter via Deep Fried Facebook, twitter #DFFSleeping, Instagram @DeepFriedFruit and #DFFSleeping, email, text or via comment below. Don't forget to leave enough details so we can track you down. Happy Book Week everyone! I hope you've found your inner princess or super hero. Mulan - cos she gets sh#t done. She's the closest princess to a Superhero there is...and she's clumsy, which is me to a tee. My girls love Disney Princesses and of course at the moment it is all about Frozen so I would love to broaden their viewing to include Aurora. If I was a Disney Princess ... I was going to say Rapunzel but that long hair would frustrate me, I sometimes talk to inanimate objects around the house like Belle (but with swearing) but I'm not into the high maintenance relationship that the Beast is ... oh I don't know, maybe I would love to be Ariel and flit between the wonders of the sea and living in my palace with a handsome prince. She seems pretty fierce and can battle her own battles, I like that. My 11 year old is obsessed with The Fault in Our Stars. She already had the pipe tee shirt Hazel wears in the book (thank you, etsy!) but the outfit was topped off when my registered nurse friend gave her a set of nasal prongs like Hazel wore through the story (she's dying of lung cancer and on oxygen constantly). A bit different but still- very cool! I'd love to be Princess Anna - still a princess but not expected to be queen so gets to have a life! Plus she has gorgeous hair. Bookweek for us is next week. Kids have been told they have to make a decision today so I have time to source what they need. I'm kind of thinking that if I were a Disney Princess I might come to the attention of a super hero. I rather like Princess Merida. Could be the hair, maybe the attitude. Now I just need a super hero wearing a kilt of all things. Rapunzel -Tangled. As a child she gave me unrealistic and delusional ideas about my hair, but as a "grown-up" I do like a good frying pan! Pincess Jasmine from Aladdin as she hasn't had to deal with as much hardship or curses as the other Princesses. I'm also a big fan of the movie. Seeing what lies beneath, that would be Belle with the Beast. So selfless, caring, devoted and sweet, to look after her father and do the shopping each week. To sing in the forest or on the way to town, or watch Gaston trip in a puddle, (secretly) hoping he'd drown. Magical teapots, French candles that speak, a beautiful castle, and it's scary looking Beast. I'd hope to be Belle if a princess I'd be, I'd hope to see good and look past the ugly. I would have to be Ariel i always wanted to be a mermaid when i was a little girl and secretly i would still like to be one now. A book-lover, with beauty, you can't lose! She doesn’t judge a book by it’s cover! 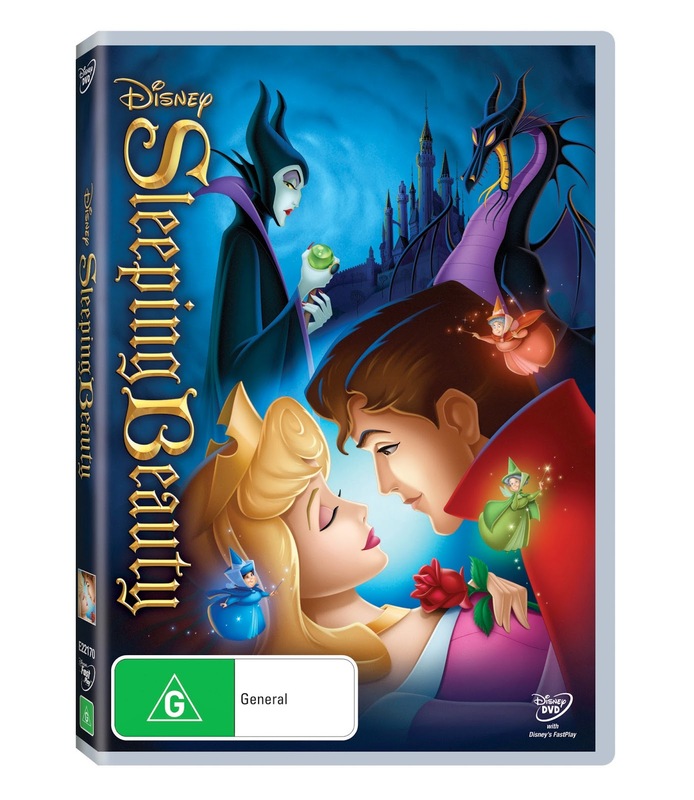 I noticed in Big W that Sleeping Beauty was out on DVD. Interesting! No Disney Princesses in this house but one of the twins loves singing "Let It Go" over and over and OVER again! Rapunzel. She was awesome with a frying pan, and she knew what she wanted. It would have to be Princess Ana from Frozen. She is funny, loving and would do anything for her family and friends. I would love to be Princess Aurora because she has beautiful golden hair and marries a handsome prince, she is the PERFECT Princess.